Webb’s Excavating focuses primarily on offering excavation services in commercial, residential and industrial sectors. We also do a wide a variety of jobs, from installation of underground utilities to land clearing, and from snow removal to landscaping. Regardless of the size of the project, we are committed to providing our customers with high quality work done on time and at competitive prices. We use high-quality equipment from brands such as Hitachi and New Holland. 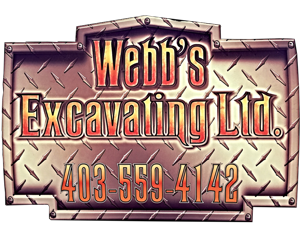 Located in Olds, Webb’s Excavating serves Central Alberta area. We can also provide our services to customers in Calgary and Edmonton. Contact us today to schedule a free estimate! We use newer equipment and the latest technology, having the necessary knowledge and abilities to do so. We see that projects follow safety standards and do not result in property damage or personal injury. When you hire Webb’s Excavating, you speed up your project, saving both time and money.